MP Vyapam Field Assistant Recruitment 2018-2019: The Madhya Pradesh Professional Examination Board has disclosed recruitment notification of 184 Field Assistant, Assistant Account Officer, Deputy Manager, Assistant Manager, Field Assistant (Contractual), Accounting Officer positions for the aspirants. In this post, we have given the full details such as Education Qualification, Age Limit, How to Apply, Post Wise Vacancy Details, Pay Scale, and Selection Process. The aspirants who will apply for this Madhya Pradesh Professional Examination Board Recruitment must face the Written Exam and Interview to get hired into the organization. Applicants have to check the official website of Madhya Pradesh Professional Examination Board for more information. This is a good moment for the aspirants those who are eligible for the Field Assistant, Assistant Account Officer and other vacancies and interested have to download the application form the application process has started on 26th March 2018 and fill the form in the provided format before 9th April 2018. From the official notification the aspirants who will select for the MP Vyapam vacancies they will get the good salary package offered by the Madhya Pradesh Professional Examination Board. To know the more information related the MP Vyapam Field Assistant Recruitment 2018-2019 has given below. The MP Vyapam will conduct the examination on 5th May 2018 and 6th May 2018. Aspirants must qualify in Degree or its equivalent examination from any recognized university. Candidates have to face the selection process to hire into the organization. For Application Fee view the MP Vyapam Field Assistant Recruitment 2018 Notification. After finishing the selection rounds aspirants who got recruited will get the salary. The minimum age limit for the MP Vyapam recruitment is 18 years, and the maximum age limit is 40 Years. Read the official notification for the upper age relaxation. View the official announcement for the upper age relaxation. Go throughout this page entirely for the more data of the MP Vyapam Field Assistant Recruitment 2018-2019. The candidates who want to get more details no need to waste your time scroll down and collect the details. Suitable candidates for Madhya Pradesh Professional Examination Board and other Jobs 2018 must utilize this fantastic opportunity. Refer the official website of Madhya Pradesh Professional Examination Board and view more information. The pay scale for the selected candidates for the MP Vyapam positions as per their norms the vacancy wise the organization will give the salary. Candidates who met complete eligibility criteria they can enhance this excellent opportunity. Scroll down and find remaining complete information. Interested candidates can check the notification details from here or download the official notification and refer the report. 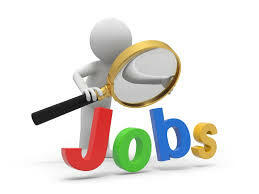 For more latest and upcoming job notifications job seekers have to follow our webpage Sarkari Naukri. The MP Vyapam has revealed a notification 184 Field Assistant, Assistant Account Officer, and other vacancies. From this article, all the applicants can get the more details. The contenders who are seeking the Madhya Pradesh Government Jobs this is the latest recruitment notification from the Madhya Pradesh Professional Examination Board. We suggest all the candidates before submitting the application form must need to verify the full data and pay the application fee as per the official notification. Check the official notification of the MP Vyapam Field Assistant Recruitment 2018 clearly and pay the application fee. Applicants have to work hard to get placed into the Madhya Pradesh Professional Examination Board. For more details check the complete page, and we have gathered the information related to MP Vyapam Field Assistant Recruitment 2018-2019. Visit our website sarkarirecruitment.com for more job notifications of the Government of Central Government Jobs. Check the official website of the Madhya Pradesh Professional Examination Board. Deputy Manager, Assistant Manager, Assistant Account Officer – Applicants have to finish their Graduate Degree in Arts, Commerce, Science, Agriculture, and MBA in Finance/ Marketing/ Human Resources Or Post Graduate Diploma in Business Management and need the Computer knowledge. Field Assistant, Field Assistant (Contractual) – Candidates must complete their Graduate Degree (51%) in (B.Sc. Science, B.Sc. Agriculture, BCA, BE/ B.Tech. (Agriculture Engineering), B.Com., BA. ), Computer knowledge, and PGDCA Pass or DCA Pass. Accounting Officer – Aspirants have to possess Graduate Degree in Arts, Commerce, Science, Agriculture, Engineering and MBA/ PGDCA Passed or two years work experience and Computer knowledge. The maximum age limit is 40 years. The selection procedure for the given positions is Written Exam and Interview. The General category application fee is Rs.500/-. The SC/ ST/ OBC candidates the application fee is Rs.320/-. MP Portal Charge Fees Rs: 70/-. Register Citizen User Charge Fees Rs: 40/-. Assistant Manager, Assistant Account Officer – Rs. 9,300 – Rs.34,800 along with Grade Pay of Rs.3,200/-. Field Assistant – Rs. 5,200- 20,200 along with Grade Pay of Rs.1,900/-. Field Assistant (Contractual) – Rs. 11,000 Per month. Application Process Starting Date: 26th March 2018. Application Process Closing Date: 9th April 2018. Examination Date: 5th May 2018 and 6th May 2018. View the organization website of Madhya Pradesh Professional Examination Board, i.e., vyapam.nic.in. Search for the MP Vyapam Field Assistant Recruitment 2018 on the homepage. Now download the official notification. Look at the details mentioned in it. Cross check the entered information. Take a print for the further use. We hope the above details of the MP Vyapam Field Assistant Recruitment 2018-2019 will be helpful for the aspirants who are applying. If any doubts on this page leave a comment on below comment box. Contenders can also check the examination results in Sarkari Result. Follow our website for more updates on Recruitment, Syllabus and Previous Papers, etc. Thank you.